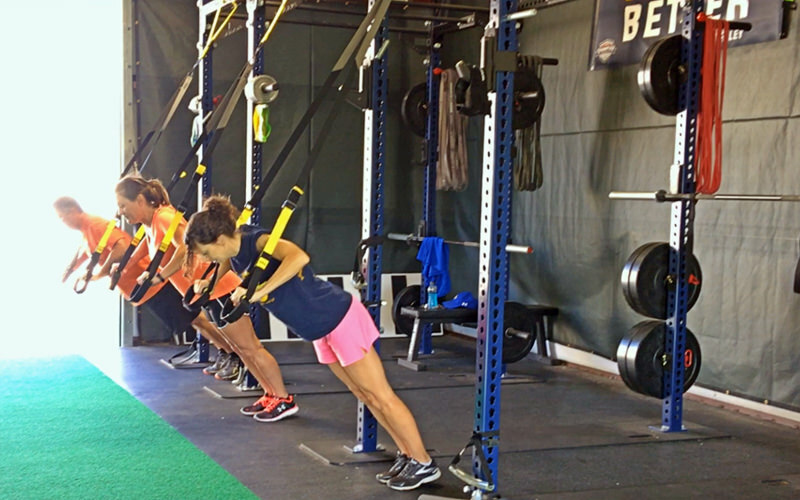 Most of our athletes participate in our Sports Performance Group Training Programs. These age-specific small group training sessions consist of up to 15 participants. Each session features training that helps athletes become faster, stronger, and more athletic. Building those skills leads to more confidence, fewer injuries, and greater performance. Learn more and sign up for our Sports Performance Group Training Programs. Champion Sports Performance offers training programs to help athletes get faster and stronger, no matter what sport you play. 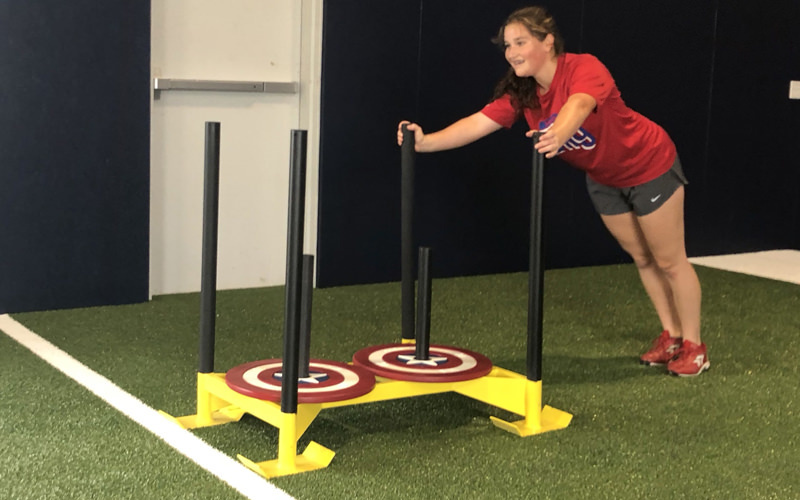 Our Group Training, Private Training and Remote Training programs help athletes in any sport – whether you play soccer, basketball, football, track, volleyball, gymnastics, or want to improve in all of your sports, these programs will train you to get faster and more explosive. The fundamentals of speed apply across all sports, and these training programs will help you become a well-rounded athlete. 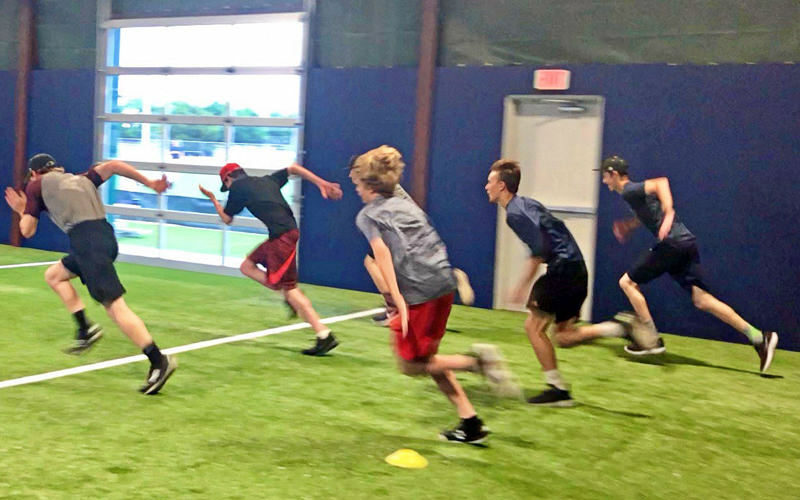 For teams and athletes participating in our Team Training program, we take our speed and agility training to the next level by integrating applications specifically designed to translate to your sport. Team coaches and athletes will see improvements in practice and the competitive arena as their agility and speed improve, with specific applications that simulate the demands of competition. We also work with athletes participating in Private Training and Remote Training programs to tailor your training to meet your specific goals and needs. Our distinct Karate Conditioning Program is tailored to the unique speed, strength, agility, and endurance needs of sport Karate and delivers a comprehensive conditioning plan for Karate athletes. Every team and athlete that trains with Champion Sports Performance beings with an initial assessment session. During this assessment we gather data on the athlete’s strength, speed, agility, mobility, and more. The results from this assessment help us understand what strengths we can maximize and what areas we can improve to help the athletes perform at their best. As athletes progress through their training sessions, we carry out regular assessments to consistently track and assess improvement. Champion Sports Performance works with teams that are aiming to accelerate their success on the playing field. 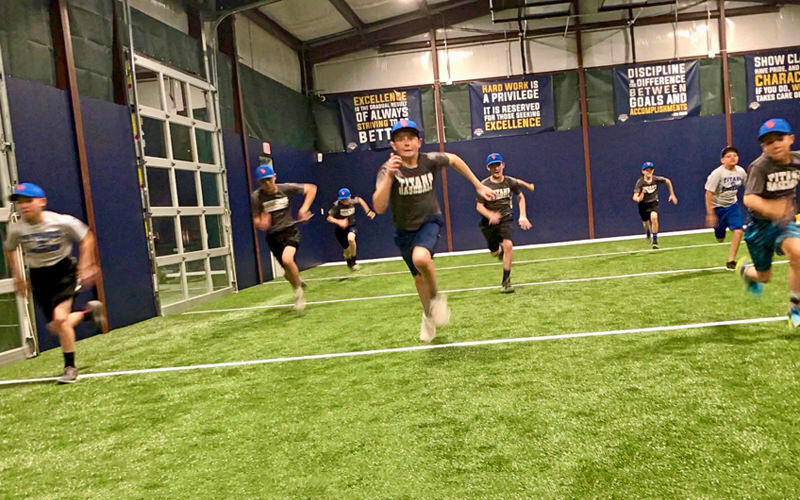 With both in-season and off-season training programs available, teams can work together to strengthen their team bond while developing critical speed and agility skills. Learn more and sign up for our Team Training Program. Do you want to get back in shape? Want to be healthier, feel better, and have more energy throughout the day? Are you looking to set a good example for your children to lead an active lifestyle? Whether you are a beginner or an active adult, these classes are a fun and motivating way to challenge yourself and improve your fitness. Learn more and sign up for our Adult Fitness Classes. Athletes looking for customized, focused training that is designed for their individual goals work with Champion Sports Performance in our Private Training Program. Since the entire training program is tailored to your specific challenges, requirements, and goals, we also incorporate sport-specific applications as appropriate. Learn more and sign up for our Private Training Program.